It's official. Today Apple has started sending press invites for its next grand unveiling event. And it's going to happen on September 7, just as rumored. The invites are very simple, as you can see below. The date is the most important part of the invite. 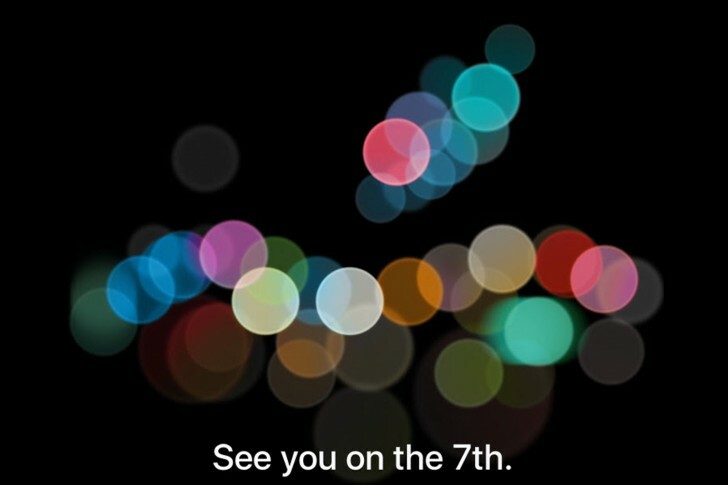 Apple will out its next generation phones on that occasion. And while recent rumors have all converged on the fact that we'll see two iPhones this fall, not three, what they will be called is still sort of a mystery. Almost the entire year every leak and rumor referred to them as iPhone 7 and iPhone 7 Plus, but there have also been a few mumblings betting on iPhone 6 SE and iPhone 6 SE Plus as the official monikers for the new devices. Regardless of what they'll be called, the new iPhones should arrive with a slightly altered design (moved antenna lines and all), a new A10 chipset, and maybe even water resistance. The Plus model gets a dual rear camera arrangement and perhaps also Smart Connector support. The 3.5mm headset jack will be gone from both, while their batteries may have grown quite a bit from their predecessors'. Since the rumored unveiling date turned out to be correct, the leaked September 9 start of pre-orders could pan out too, as well as the supposed September 16 release date. buried down together with steve jobs bruh.. This apple 7 or apple iphone se- thingy does not make sense at all after learning that their features are already featured with other brands for years now. Catching up is very lame. Where is the apple like it used to be? Why? Why is it so hard for you to just go to the Apple store and get one. I'm in love with my 6s plus rose gold.